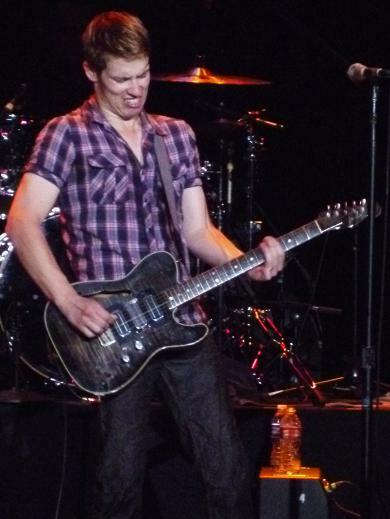 Jonny Lang. Genius at work. Up until last week, it would have shocked me to learn how few people in my life have heard of the young blues guitar genius Jonny Lang. Because I’ve witnessed Jonny’s musical evolution (from 15-year-old phenom to critical darling to gospel musician) since the late 90s, it seems absurd to me that there would be anyone that’s not yet heard of this man. Alas, it’s true: we Jonny Lang fans seem to be much more of a minority than I knew. Happily, this weekend found me among nearly a thousand like-minded individuals at Friday night’s performance at downtown Napa’s tiny Uptown Theatre. The show began promptly at 8pm with the Michael Williams band as the opener. Williams, a tattooed man in a tank top and a beanie, wasted no time introducing himself, adding that he was a “shy West Texas boy.” The set began after Williams commented on all the pretty ladies in the audience, seguing into “Bet Yo’ Mama” (Look Good Too). For the first song or two, Williams sat center stage with his guitar on his lap, playing it lap steel style. I was already impressed, and when Jonny said later in the evening, “Everybody’s gonna know about him in a minute! You can say you saw him first!” I found myself nodding in agreement. After “Just Don’t Forget Me,” Williams got up to jam more actively with the rest of the band, stopping to remind himself – and the crowd – that he had to plug his guitar in first. The short set ended with the brilliant “Lately” off the band’s new record, Fire Red. Michael Williams, of the creatively named Michael Williams Band. In what seemed like no time at all, a smiling Jonny Lang had taken the stage with his full band, opening with “Don’t Stop (for Anything),” followed by oldie “A Quitter Never Wins.” At that point, my dad (my guest for the evening and one of the many I’ve introduced to Jonny’s music over the years) sat up and started paying closer attention. “Turn Around” concluded with a shoutout to the Michael Williams band and an introduction the members of Jonny’s backing band, including backup singer, sister Jesse Lang. In the middle of “Red Light,” Jonny started a crowd singalong moment, chanting “everything’s gonna be alright” before bringing it back around to the end of the song. 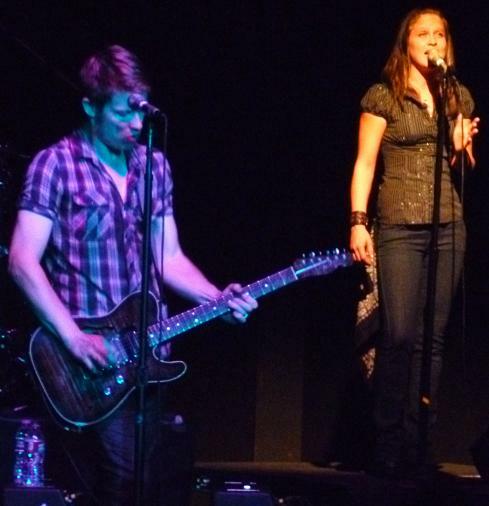 A cover of Stevie Wonder’s “Living for the City” showcased Jesse on the second verse, prompting someone in the balcony to shout “little sis ROCKS!” Jonny smiled, telling the crowd that he’d told her when they start to cheer more for her than for him, she has to leave the band. Of course he was joking, and admitted that she deserves all the praise she earns. 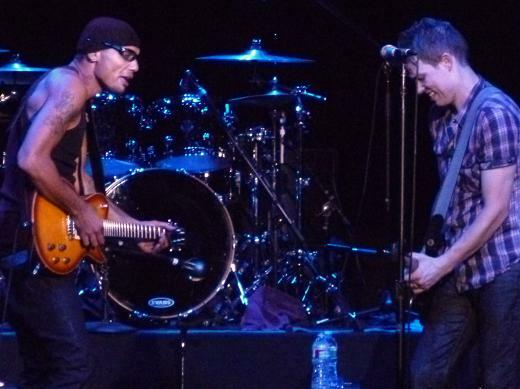 The next song, “That Great Day,” featured a three-part harmony between Jonny, Jesse, and keyboard player Dwan Hill that was absolutely breathtaking. After another oldie (“Rack ’em Up”), Prince-penned “I Am” was a show-stopper that included the most impressive drum solo I can ever remember having witnessed by drummer Barry Alexander. It ended with a standing ovation and an inevitable encore. 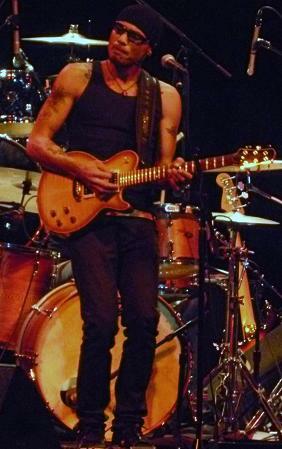 During his cover of Muddy Waters’s “Forty Days and Forty Nights,” Jonny called Michael Williams to join him on the stage for a jam. When they’d finished, Jonny remained alone onstage with his acoustic guitar, essentially singing a prayer of gratitude for all the things with which he’s been blessed. Seamlessly, he transitioned into “Breaking Me,” after which the whistles and “we love you!”s abounded from the crowd. I couldn’t help but feel like I was witnessing nothing more than a room full of love. As the crowd began to call for “Lie to Me,” Jonny kept a hold on his acoustic guitar, which surprised me, as the song contains one of his most recognizable electric riffs. When he began it acoustic anyway, I watched in awe, feeling as though I was witnessing some rare and special moment. Jonny’s talent is never better showcased than on such a song as this. Right when I thought I couldn’t handle any more amazingness, his guitar tech handed him his electric guitar and the band returned to the stage. One last time, they lit the place up, performing “Lie to Me” much more like it’s recorded, concluding to the entire audience on its feet, roaring with applause. Jonny’s humility and gratitude were both unmistakable as he thanked the crowd, smiling with that sweet “aw, shucks” grin of his, and bowed with the band. In the end he may be right that sister Jesse deserves the praise she earns – just in the same way that he deserves the adoration the crowd lavished upon him.